You are at:Home»News»Interested in a model show at the Norfolk Tank Museum? 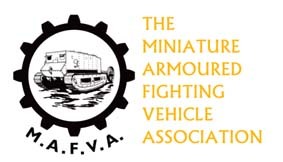 The Norfolk Tank Museum is interested in working with MAFVA to put on an exhibition of model tanks (other vehicles would be welcome) during its Armourfest Open Weekend (10th/11th August 2019). The show is likely to be on on Saturday 10th August, if sufficient interest is raised. (They have a dance in the hanger on Saturday night, so the model show might only take place on the Saturday, rather than both days. This will need to be finalised). If you are at all interested, please contact president.mafva@gmail.com so that we can confirm interest. I would add that it is a good day out.